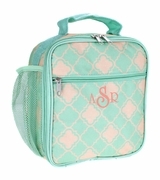 Monogram Lunch Tote Bag in basic solid hot pink and mint to mix and match with our back to school pattern backpacks. 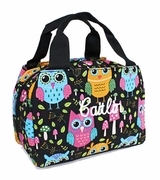 Tote a nutritious lunch in this fashionable lunch bag. Transport your favorite healthy midday meal. Roomy vinyl insulated interior, exterior open front pocket under the flap, perfect for cell phone or work identification cards. Three sided zipper opening for easy access to items. 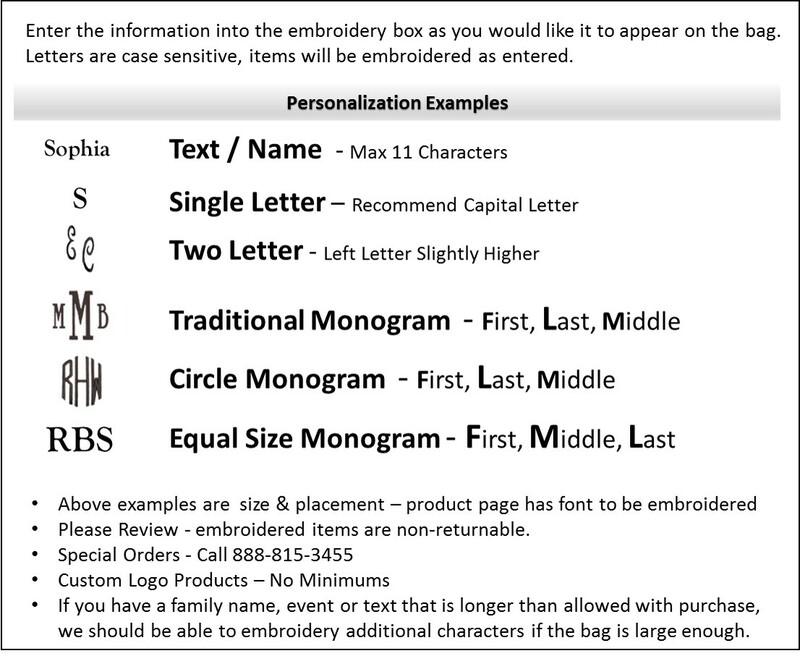 Add a name or three letter monogram for personalization. I bought this for my mother-in-law. It is a great size and great quality. Will definitely order from Simply-Bags again. 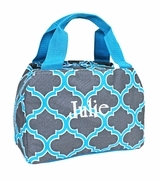 I purchase the lunch tote because it was insulated and I could take my lunch to work. Wanted to eat healthy and save some money.